October 13th is the release date for BOJ‘s new album titled “Magic” and it is already looking promising. 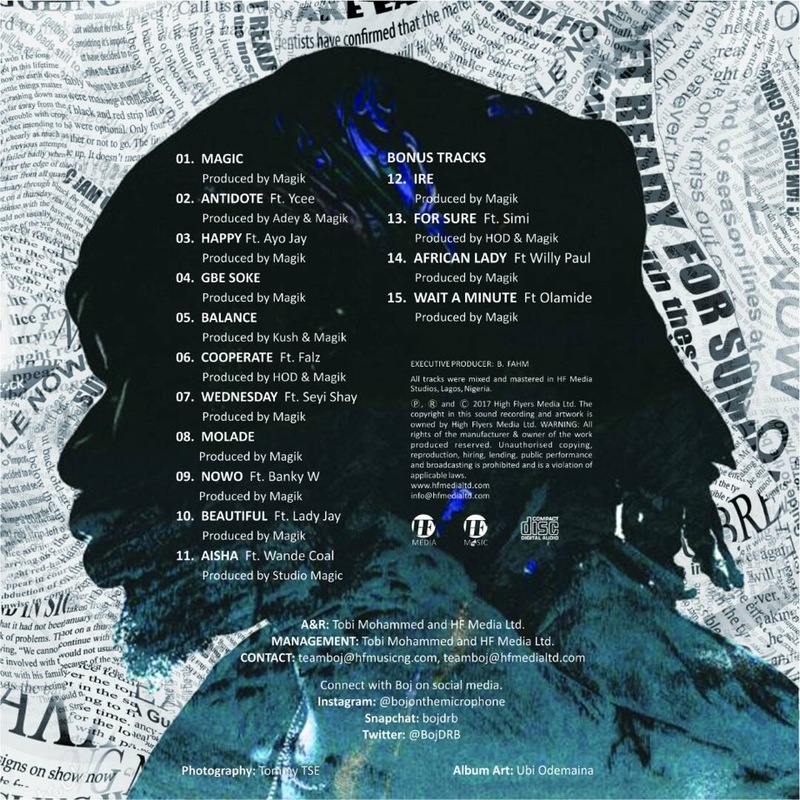 The album consists of 11 tracks and 4 bonus tracks, including features from top acts like Ycee, Ayo Jay, Falz, Seyi Shay, Banky W, Wande Coal, Lady Jay, Simi, Willy Paul & Olamide. Production credits go to Magik, Adey, Kush, HOD & Studio Magic.